'He Had Many More Films To Make': Remembering Iranian Director Abbas Kiarostami Kiarostami began making films in 1970 and continued after the 1979 Islamic Revolution. His work helped make Iranian cinema a major international force. The director died Monday in Paris at age 76. Abbas Kiarostami poses during his visit to the 54th Cartagena Film Festival in 2014. The filmmaker left Iran only twice to make movies. 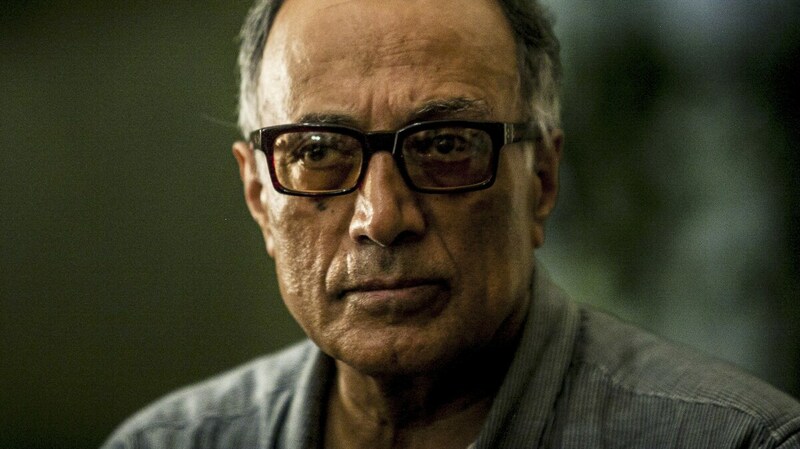 Iranian filmmaker Abbas Kiarostami began making films in 1970 and continued working in his homeland after the 1979 Islamic Revolution. He helped make Iranian filmmaking a major international force, despite leaving Iran only twice to make movies. Kiarostami died Monday in Paris, where he had gone for cancer treatment. He was 76 years old. Kiarostami stepped onto the world stage in 1990 with Close-Up, a film that was praised by the likes of Martin Scorsese and Quentin Tarantino. Several years later, he shared the top prize at the Cannes Film Festival with 1997's Taste of Cherry. But according to film critic Godfrey Cheshire, Kiarostami's situation was complicated. Cheshire has written a lot about pre- and post-revolution Iranian cinema and got to know the filmmaker personally. 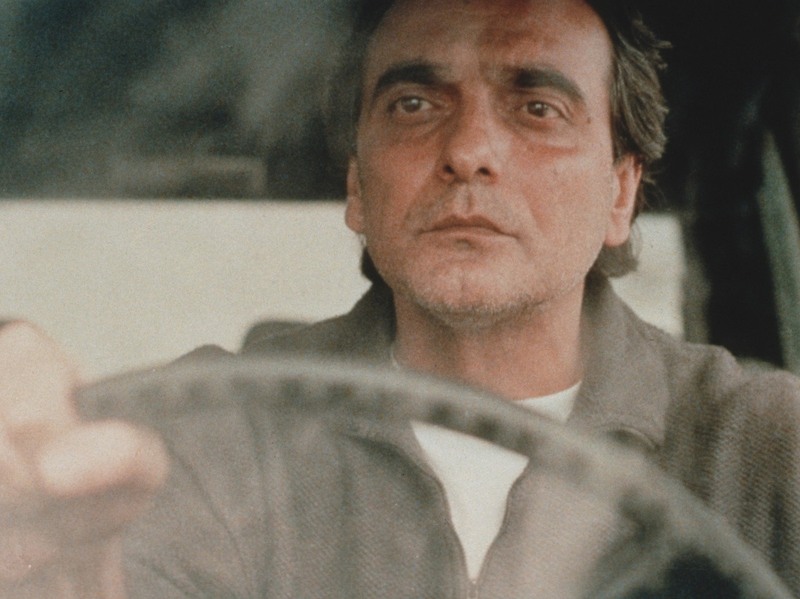 Kiarostami's Taste of Cherry won the Palme d'Or at the 1997 Cannes Film Festival. It follows a man (Homayoun Ershadi) who is contemplating suicide and drives around Tehran looking for someone to bury him. "Kiarostami had support from the government at really the highest levels, in some cases — ministers were backing him and trying to help him," Cheshire says. "And then he had these hard-liners that were pushing against him and restricting his access to materials, etc. So it was a real back and forth throughout his career." Cheshire says the government understood the international prestige Kiarostami could bring, but he still ran into problems with censors. "For example, he told me that his film The Wind Will Carry Us, which is a really amazing film — he quotes Omar Khayyam, who of course is this great figure in Iranian literature that people revere. And yet the censor wanted to cut that because, you know, Omar Khayyam can be read in different ways, but in the way that Kiarostami put in this thing it was almost saying life after death doesn't exist. And this is something, you know, verboten." He had the authority of poetry, the authority of art and the authority of cinema. Kiarostami also got in trouble for his most honored film, Taste of Cherry, in which a man contemplates suicide. But the filmmaker avoided the harsh penalties suffered by younger colleagues like Jafar Panahi, who can't officially make films in Iran. Dorna Khazeni, a translator who worked closely with Kiarostami, says the filmmaker avoided those penalties by looking for truths beyond immediate political situations. "He had the authority of poetry, the authority of art and the authority of cinema," Khazeni says. "That really truly went beyond the confines of the time and place he happened to be in [in] Iran. He would take a small subject and by paring it down and excluding so much in that small subject, he was able to capture a truth in time and place that transcended the particularities and that was decipherable to any viewer, anywhere." His stories were about a boy trying to return a schoolbook to a classmate, or a poor but likeable man who impersonates a filmmaker and gets caught. Cheshire says Kiarostami's vision was both global and deeply personal. "He sort of opens the world of art cinema — which prior to his arrival had been really concentrated on Europe, America and also to an extent Japan — up to the whole Islamic world," Cheshire says. "But it's also that this one particular individual had a vision that was so sophisticated in terms of the formal nature of film but was also very, very personal and very, very loving in a way. His films, I think, are full of love for people and for culture and for the medium." Kiarostami was revered by many around the world, and he mentored and inspired two generations of filmmakers in Iran. According to friend and translator Khazeni, he always saw beyond his status. "He had at once a grasp of his stature and a complete humility vis-à-vis what had been decreed about his work," she says. "He just worked. That was what he had to do. ... And that's what makes me so unhappy about the news of his death, because he had many more films to make."